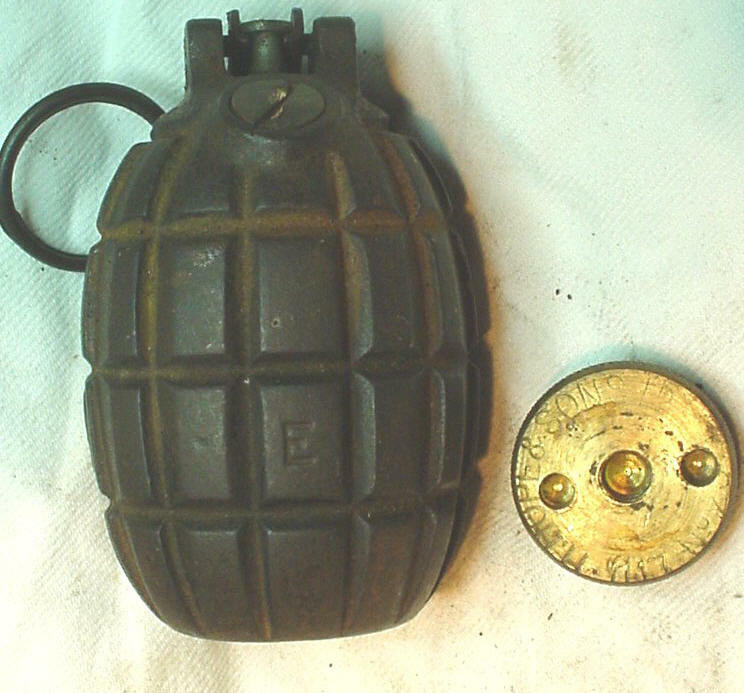 Second model in the family of Mills grenades. Main difference was the adaption of a base plug which would accept a steel rod to launch the grenade from a rifle. Great variety of plugs known. The Mk2 type got a larger filler hole. The Mk3 type had a new design of "shoulders" and a partially re-designed striker mechanism. 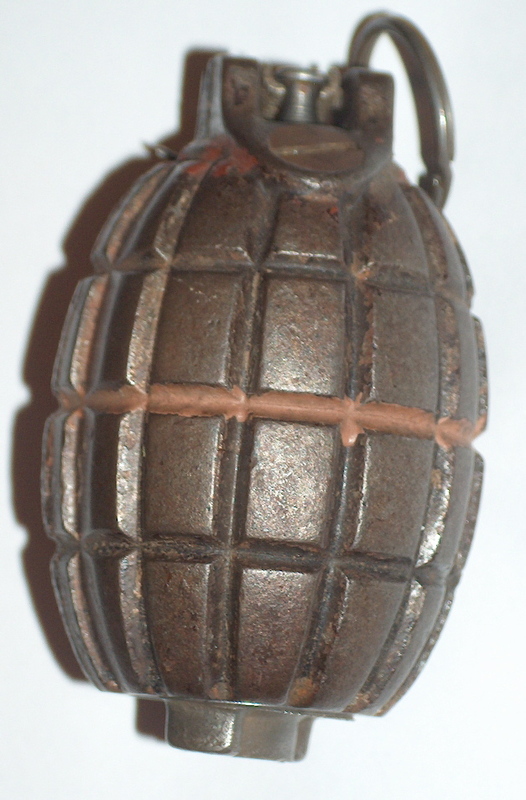 More photos on the No.23 RIFLE grenade conversion.